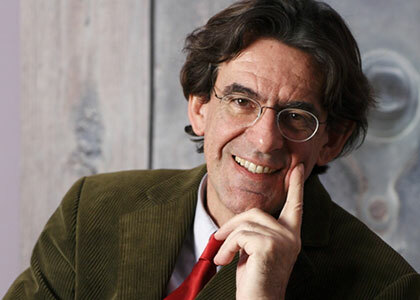 Luc Ferry is a philosopher and the author of the national bestseller A Brief History of Thought. He has been awarded the Prix Médicis, Prix Jean-Jacques-Rousseau, and Prix Aujourd’hui, in addition to being an officer of the French Legion of Honor and a knight of the Order of Arts and Letters. As a Professor of Political Science and Political Philosophy, he has taught at the Institut d’Etudes Politiques de Lyon (1982–88), during which time he also taught and directed graduate research at the Pantheon-Sorbonne University, and at Caen University (1989–96). He was also a Professor at Paris Diderot University from 1996. From 2002-04 he served as Minister of Education, in the government led by Prime Minister Jean-Pierre Raffarin. During his tenure, he was responsible for the implementation of the French law on secularity and conspicuous religious symbols in schools. Ferry advocates teaching a uniform foundation of knowledge and skills as a necessary counterbalance to the ever-increasing degree of specialisation and individualisation. One of the key measures which Ferry initiated in office was his plan to tackle the poor writing and reading skills of adolescents. He is now working in academia and research, and has become one of France’s most influential intellectuals. He frequently expresses his opinions in the media, on everyday events and social policy developments. He has written many books about philosophy and society.